Hi Dear Readers! 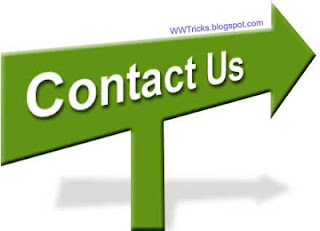 If you want to contact with the blog author then you are most welcome!!! Your suggestions, feedback.queries are important for us, we will appreciate your suggestions . If you have any problem related to any post then you can tell us using this form. We are receiving lots of e-mails asking to publish a review of our service, product or tool etc. If you are one contacting for such promotional publication, We will charge for it. So don't Waste your time if you can't pay even a little.